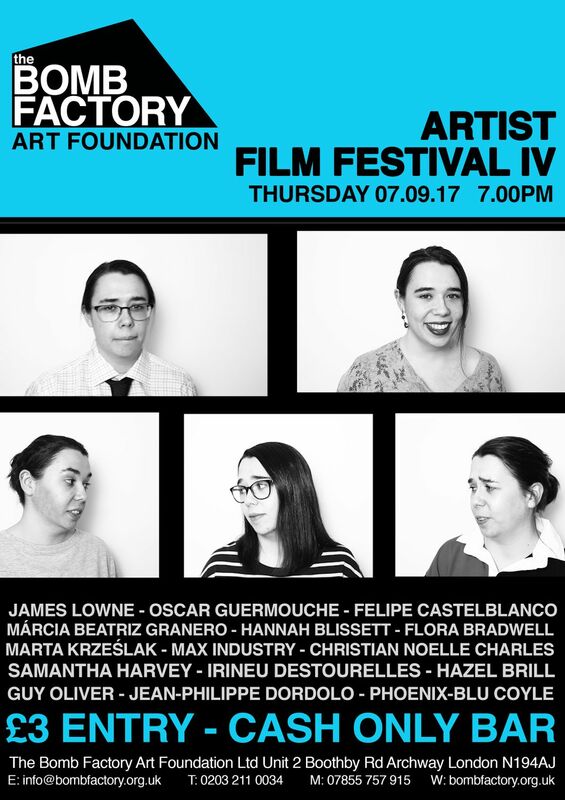 The Bomb Factory Artist Film Festival IV is the fourth in a series of international festivals championing artists’ moving image. Screening single channel video works from within the fields of artists' moving image and media art, short narrative films, documentaries, experimental and essay films, animation and video collage. Guy Oliver - What Do You Have To Do To Get A Drink Around Here?